Xtreme Couture head kickboxing coach Joey Varner teamed up with Role7 productions to participate in the 48 Hour Film Project (48FHP). The 48FHP is an international film festival in which the competing teams draw a film genre from a hat and are given characters, props, and lines of dialogue that they must use in their movie. After all the teams have drawn their genres they are given 48 hours to write a script, shoot and edit a 5-7 minute long film. Joey’s teams genre was surprise ending. Their movie is titled “Reset”. Check it out below. Xtreme Couture Soccer! Fighters take the pitch. Xtreme Couture’s Muay Thai instructor, Joey Varner, led his troops into battle last night for the first match of the season for the Xtreme Couture indoor soccer team. Amongst the fighters on the team are Randy “The Natural” Couture, his son Ryan Couture and JJ Mix to name a few. The guys picked up a 5 to 4 win their first time on the pitch this season and will have a 2 week break untill their next match. Goals were scored by Randy (2 goals, assisted by Ryan), Joey (1 goal), Stephen (1 goal, and JJ (1 goal). Armando defended the net well against the skilled attacks set up by the opposing team. The guys played great together even though they were unable to practice as a team before their first match and many players had not played soccer in several years. It was exciting to hear the buzz of team practices being scheduled after the match to help improve the team. Congratulations to our team and we look forward to seeing them on the pitch in the new year. Check out the photos below of some of the action from last nights match. Xtreme Couture’s own Joey “Vegas” Varner filed a report from the Affliction photo shoot featuring Randy and Fedor Emelianenko. Hear what the two top Heavyweights in the world have to say on a variety of topics by clicking here. The video loads after a quick advertisement. Xtreme Couture fighters were a perfect 4-0 at the International Fight Organization’s “Fireworks in the Cage III”. Phil Friedman, Joey Varner, Josh Haynes and Eric Pele excited fans at The Orleans Arena with dominant finishes. In one of the night’s featured bouts Eric “Big E” Pele laid a beating on Antoine “Herc” Hayes. Stopping the big man from Chicago by a brutal 1st Round TKO. Big E laid Herc out twice with thunderous punches before Herb Dean stopped the carnage. Hayes had a number of low class, disparaging things to say about Eric Pele at the Press Conference. But Eric let his massive fists do the talking in the cage and had the definitive last word. 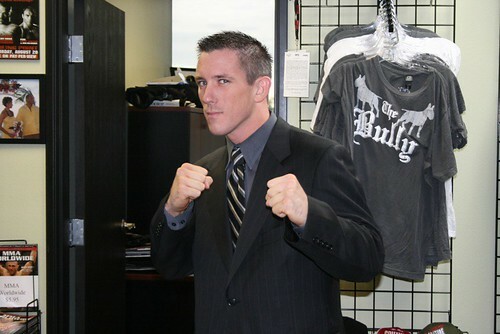 Josh Haynes made his debut as a member of Xtreme Couture. He engaged in a toe to toe war with a very game John Cornett. Both men were bloodied and staggered a number of times. But midway through the 3rd round Josh landed a monstrous overhand right that flattened Cornett. It was the definition of a highlight-reel KO. I’m sure you’ll be seeing it on IFO commercials and the opening sequence of future shows. Joey Varner returend to the cage after a three year absence due to shoulder surgeries. Joey who is known for his stand-up skills (he’s our Muay Thai teacher) shocked everyone by submitting his opponent, Josh Marker. Joey almost put Marker away with a triangle choke, before transitioning into a beautiful armbar. 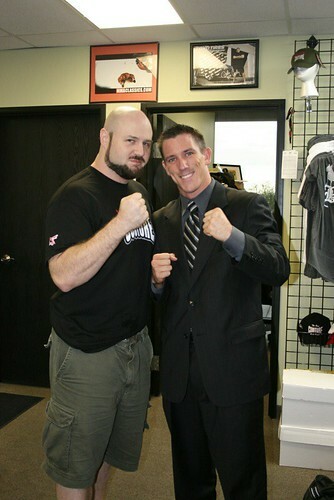 Kettlebell instructor Phil Friedman made his professional debut against 6’6″ 263lb Mark Rommel. Rommel who trains with Josh Barnett appeared to have Phil in trouble early in the round but Phil swept him, took his back and then rained punches down on Rommel’s temples for :45 before Mario Yamasaki had seen enough. So far Xtreme Couture fighters are 5-0 this week. Gray Maynard needed just 9 seconds to Knock Out Joe Veres at Ultimate Figth Night 11 on Wednesday. Tyson Griffin and Forrest Griffin look to make it a clean sweep tonight at UFC 76 in Anaheim. 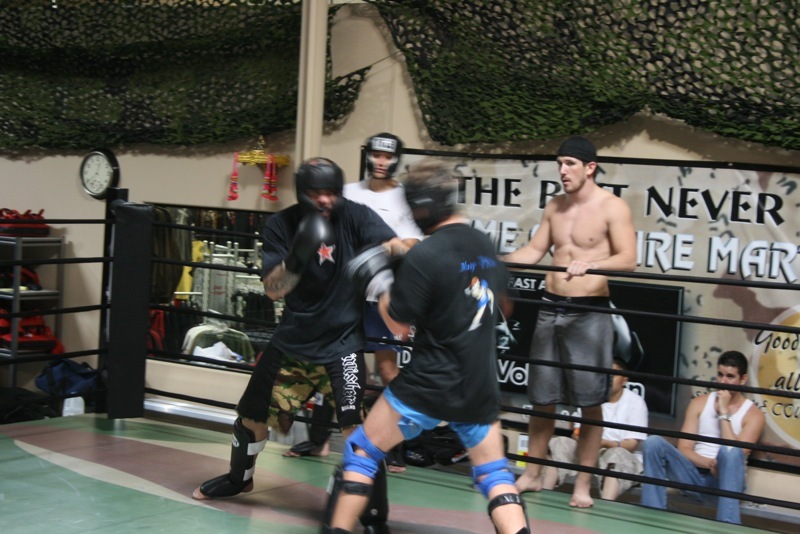 Muay Thai Coach Joey Varner’s sparring program is officially underway. It kicked off with a bang today. 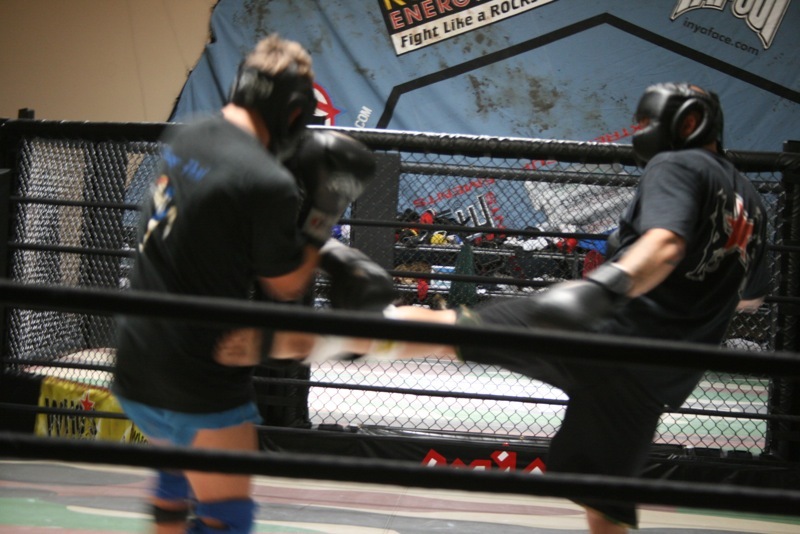 If you’re interested in mixing it up, we’ve got Muay Thai sparring on Wednesday’s and Friday’s from noon to one pm. We’re thinking about making Monday’s noon to one class sparring too.